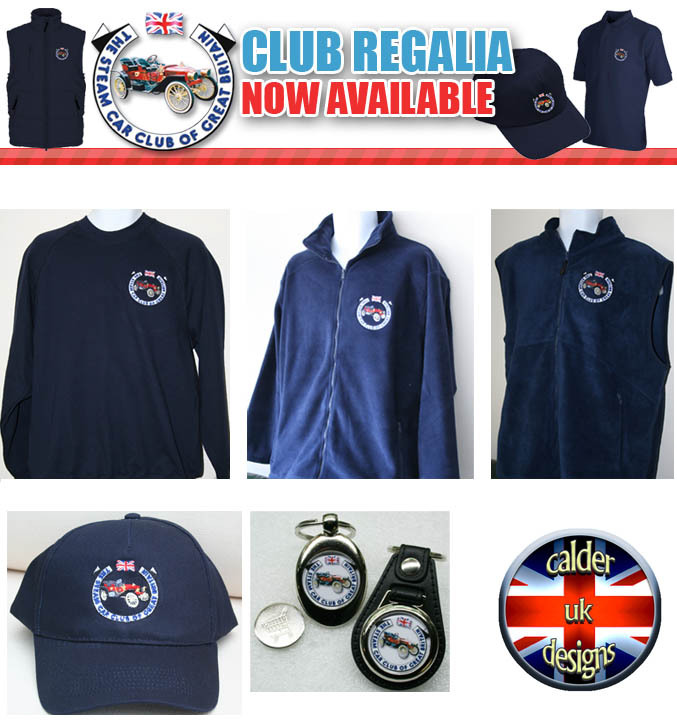 The Steam Car Club of Great Britain in collaboration with Calderdesigns(UK) Ltd are pleased to announce the availability of a whole new range of official Steam Car Club of Great Britain clothing! The initial range of Steam Car Club of Great Britain clothing includes T-Shirts, polo shirts, fleeces, coats, rugby shirts, body warmers, hats and bags. All items are embroidered to order, so please allow 7-10 working days for delivery. Full ordering instructions to follow.